Relaxing on a passage is challenging, everything you do has to be timed with a boat that rocks, pitches and rolls with every wave. Sleep is even harder, especially in sporty weather. But even if you can sleep, it's virtually impossible to rest if you're worried about your partner on watch. Sure, in rough weather life jackets and harnesses are donned, but that's not enough to stop you fixating on the 'what if' scenarios - no matter how outlandish they may be. 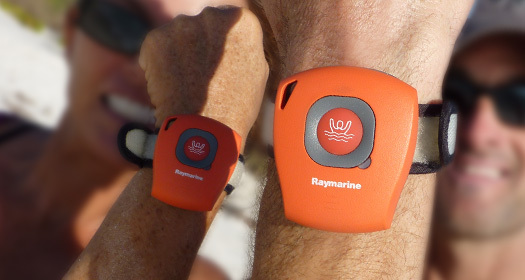 But thanks to Raymarine's LifeTag system - personal transmitters that trigger an alarm if the wearer falls overboard, we can rest easy. Well, easier. We've worn them on every passage since we left NY 7 years ago. And thanks to a generous donation from Raymarine, we'll be wearing brand new units for the second half of our world trip.